Even though I am a huge fan of the automobile, trains are still my favorite way to get around a metropolitan area. Sadly when those trains get out into the suburbs, most towns do not possess a complimentary infrastructure, with the train station often being far from shops and cafes (usually to accommodate parking). Thus, to find a decent coffeehouse near a train station appears as rarely as an open seat during the morning commute. 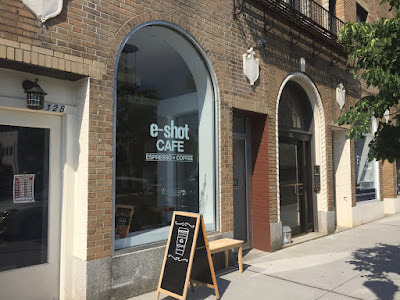 Fortunately such gems do exist, like in Larchmont, NY at cozy little shop called e-shot Cafe. Blessed with a huge arched window, the shop floods with available sunlight as locals and train riders stop in for a hot beverage. 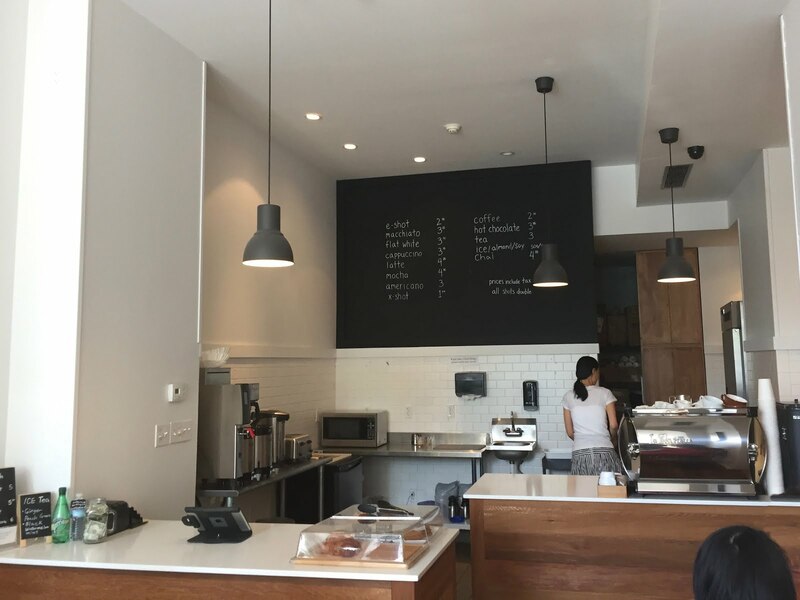 The interior is a nice blend of wood and white walls, with high ceilings and a number of nick nack light boxes lining the center of the shop. Serving up Counter Culture, I ordered an espresso of their Hologram blend as well as a cup of Big Trouble via drip coffee brewer. 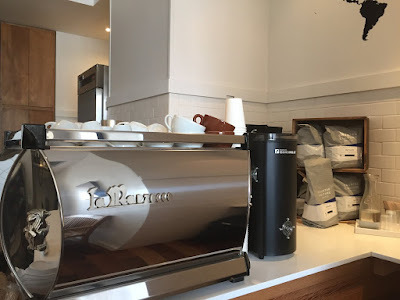 The espresso, pulled short/medium with brown crema, trumpeted out notes of black cherry, lemon, cocoa nibs, rose tea, a little tangerine and some dandelion, making for a sweet, juicy infusion. The drip also proved spectacular, with clean notes of asian pear, croissants, cherry torte, almond and slight Dr. Pepper in a medium body. Having business to attend to nearby, I had to dart off after my brief respite. 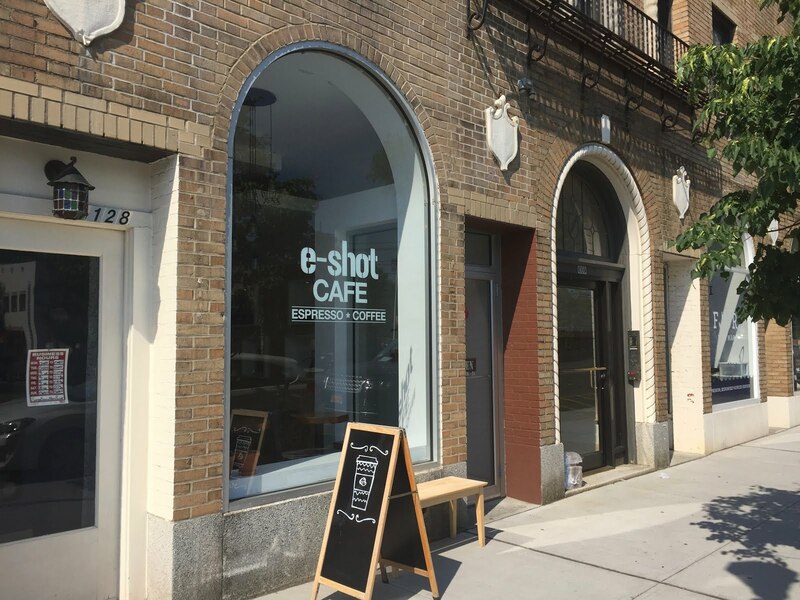 If you're grabbing a train in Larchmont or you reside nearby, check out e-shot Cafe for some good coffee. 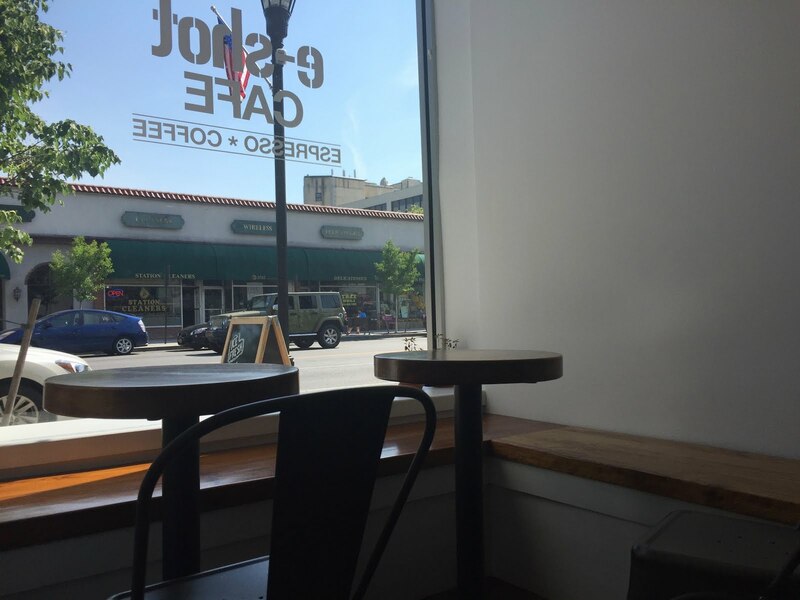 What a cute little cafe, thanks for sharing! There is nothing like a good cuppa before or after a train ride to give you some energy for the day ahead. We definitely have a surplus of train-side coffee shops in England, and each has their own unique character, definitely a great pause and watch the world go by.